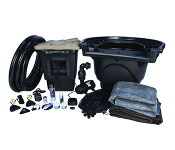 Take the guesswork out of trying to assemble the perfect combination of equipment and liner to create a stunning water garden. 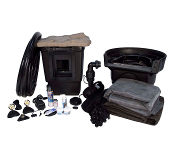 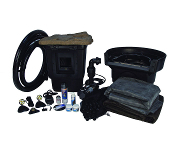 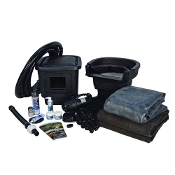 Aquascape pond kits include a pond pump, liner and other necessities. 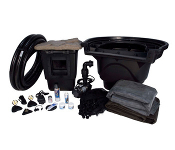 The only things you’ll need to add to your Aquascape Pond kit are rocks, plants, and a little imagination.